On October 2, 2017, in pursuance of the aspiration of Mahatma Gandhi for a clean India and in response to the call of the Honourable Prime Minister of India, Shri Narendra Modi, The Akshaya Patra Foundation initiated the ‘Swachh Vidyarthi, Swachh Vidyalaya, Swachh Gruha’ to inculcate a culture of hygiene and cleanliness in a systematic manner. 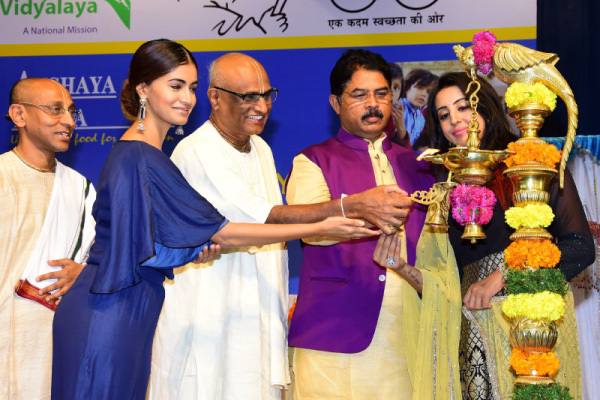 Shri R Ashok – Former Deputy Chief Minister of Karnataka; Ms Sanjjanaa Galrani – renowned multilingual actress and who also has her name mentioned in Limca Book of Records; and Ms Sushruthi Krishna – first runner up of Femina Miss India 2016 extended their support. The dignitaries present appreciated and encouraged Akshaya Patra’s initiative to impart the values of personal hygiene and cleanliness across all the schools. The programme was held in the presence of Shri Madhu Pandit Dasa – Chairman, The Akshaya Patra Foundation. 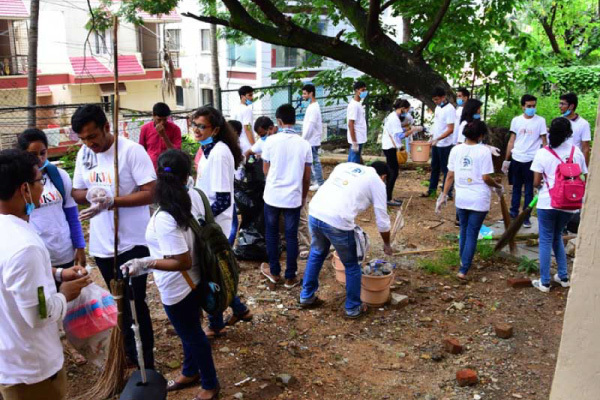 In this noble endeavour to transform India, Akshaya Patra will engage college students and young professionals to volunteer and offer their time, energy and talents to impart the values of personal hygiene and cleanliness.